Endofa company is well funded with a bright future ahead of it, co-founder and Managing Partner Kenn Soendergaard has told Ship & Bunker. A report last week suggested that the bunker player's entry into the market has been a costly one based on the performance of MTSL Holding A/S, which includes investments in Endofa. "In that company we're doing other investments that have nothing to do with bunkering, such as those in real estate," explained Soendergaard. "Yes we had a loss last year and we didn't hide that. Endofa is a well funded company and we're doing good business on a regular basis. This is a long term investment for us." The losses for the bunker company stemmed from its Oleum physical supply joint venture with Dan Bunkering in West Africa. Launched in December 2013, it was described at the time as "an ambitious attempt to bring a new, broad-appeal bunker supplier into WAF." "We've come to realise that it's optimal when our offices on top of our trading activities are focussing on niche businesses, not just competing on volume. But with a keen focus on serving customers well, where we add value," Soendergaard told Ship & Bunker. "The Oleum venture with Dan Bunkering was not right for any of us. Ultimately we cut our losses, went away and regrouped." Endofa is still physical in WAF, but Soendergaard says this is on a scale that Endofa is operating themselves and/or in local partnerships. "It's more a niche business now versus a volume business, and thats where we can make a difference and build a sustainable platform ready for further growth" he said. 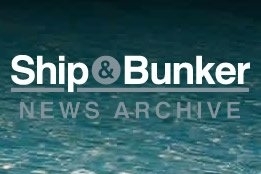 In line with this renewed focus, this year the bunker company has made a number of personnel changes. Last month Endofa hired Peter Grunwaldt to head its commercial Trading department from Dubai. Grunwaldt has previously held positions within the industry at Maersk, the Glencore Group, and until earlier this year was CEO at Soyuz Bunkering Group (SBG). Other changes in personal have come in the Americas, where the company recently opened up in Panama. Combined with our physical set-up in Honduras we now feel strong in Central America. We have expanded in a timely manner. "Our new man situated in Panama allows Endofa to build on the momentum we're currently experiencing," Soendergaard added, referring to the hire earlier this month of former OW Bunker assistant manager Christoffer Petersen in Panama. "Combined with our physical set-up in Honduras we now feel strong in Central America. We have expanded in a timely manner, and again this is a niche business working with local partners." To date, Endofa has mainly been operated out of Houston and Dubai, but in May opened a new office in Copenhagen, Denmark where it plans to eventually headquarter the business. The move, explains Soendergaard, is to add a level of transparency and credibility to the business, factors he says are of increasing importance in the wake of the collapse of OW Bunker. "It will take two to four years to shift to Denmark, but from there we feel we can show a more transparent business. You have a solid system that checks up on your results - something that is good both in terms of our clients and our credit lines. For further growth it is a good base for Endofa going ahead." And right now that road ahead looks bright for Endofa, with Soendergaard noting that it has been profitable for four out of the first six months, and is on track for a positive result for 2015.